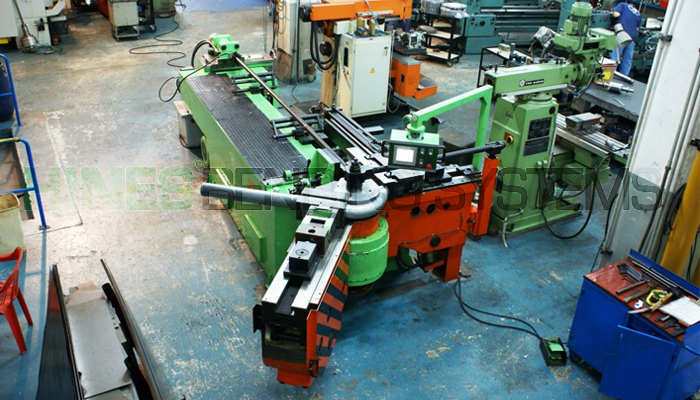 When you look to do off-plane bends, often called CNC bends, you search for a CNC tube bender for sale. Your tube can be bent with different degrees of bend (DOB) and rotated to a different plane of bend (POB) on a tube bender. You will also achieve some off-plane bends on a single-plane rotary draw bender, albeit with limitations. 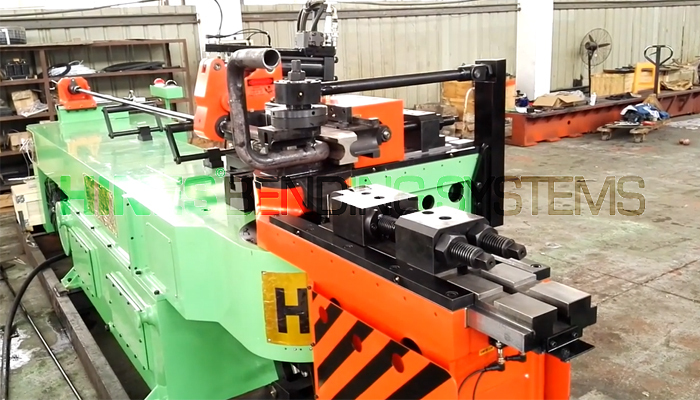 Also known as a numerical controlled (NC) tube bender or simply, a semi-automatic tube bender. While this may be true, the CNC tube bender remains the ideal bender choice for multiple off-plane bends on a single tube. You bend with a semi-automatic tube bender and know this as a common bender for simple bends. 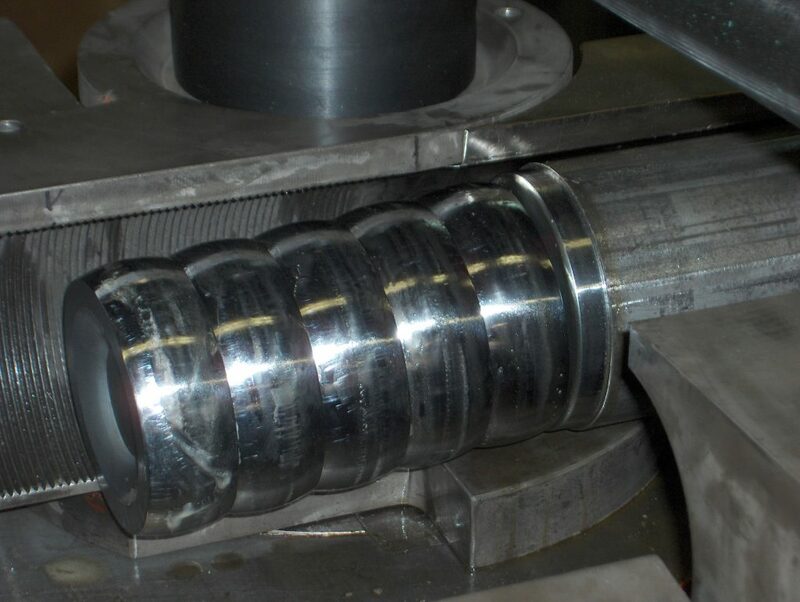 For example, a popular use for this type of tube bender includes 45 degree and 90 degree elbows. In like manner, you bend single 180 degree U-bends or J-bends. Additionally, your operator bends several 45 or 90 degree bends on one tube then cut up the tube to make multiple parts. On many semi-automatic tube benders a touchscreen and industrial computer saves your jobs. For example, your degree of bend on a Hines Bending Systems semi-automatic tube bender inputs with a touchscreen up to six bends per part. Your job can be saved to run again. 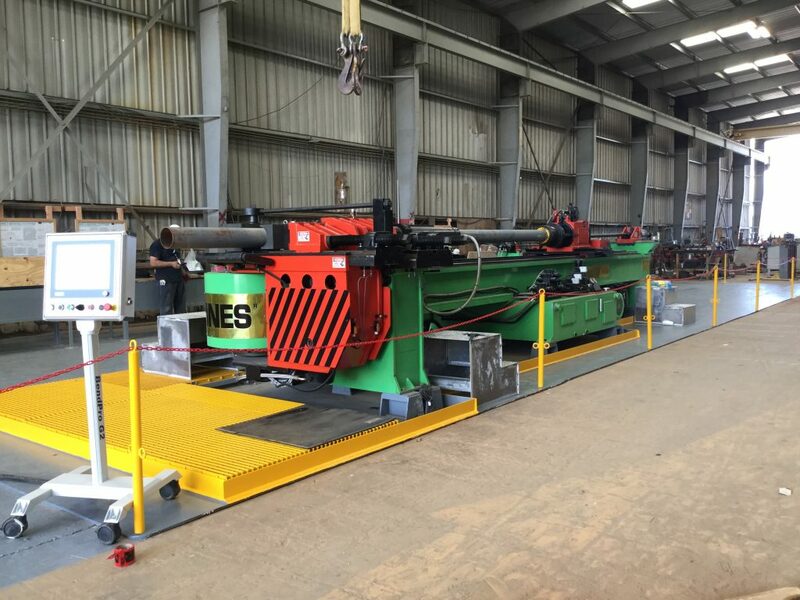 CNC Tube Bender for Sale more economical? Undeniably, your purchase of a semi-automatic tube bender can be more affordable than a CNC Tube Bender for sale. 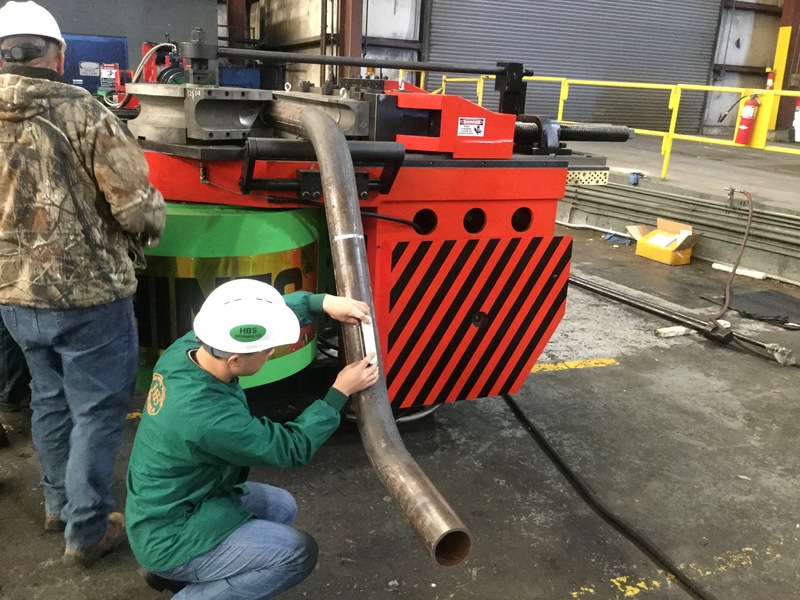 Overall, a long list of jobs for many industry parts can be bent with a semi-automatic tube bender. 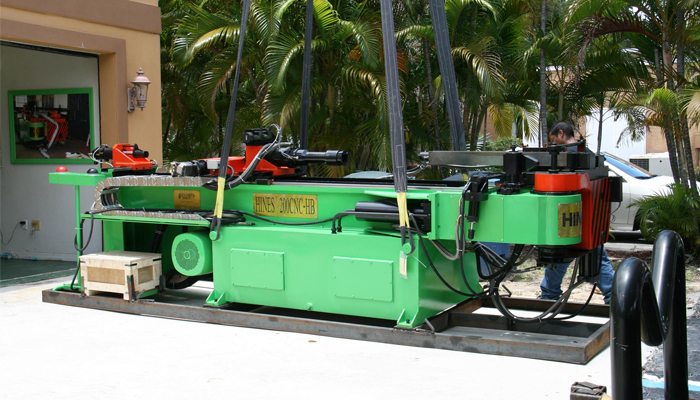 Due to its lower cost, when you purchase a semi-automatic tube bender the return on the investment is shorter. Especially true if you have low to medium production. 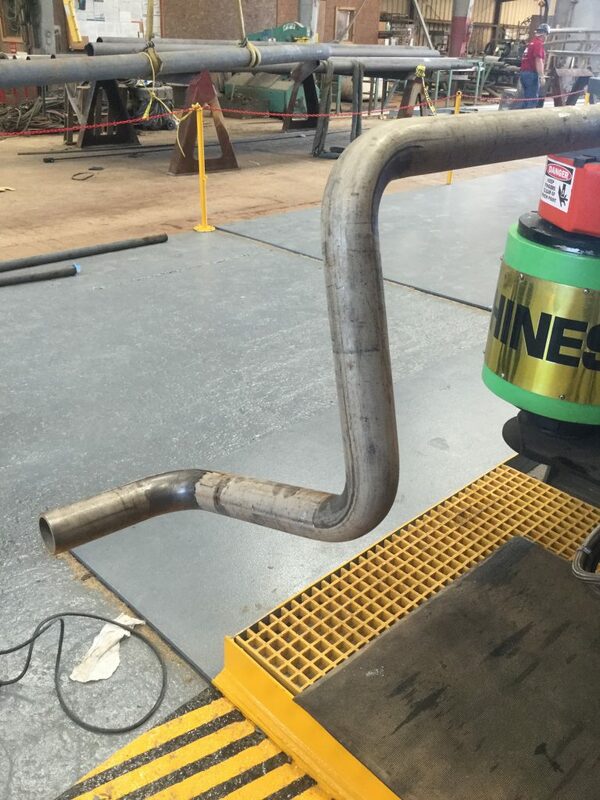 Important to note, you can consider a CNC Tube Bender worth the additional cost and be economical. For example, if you want less operator involvement, have complex bends, and/or high production. 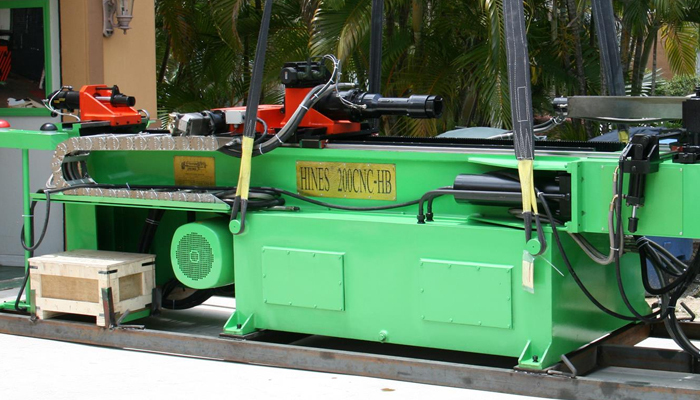 For these reasons, your CNC tube bender automation can be well worth the extra cost and your return notable. What features do you get with a CNC Tube Bender for sale? Dependent on your parts, a CNC tube bender can be ideal especially with CNC models designed to fit specific jobs. 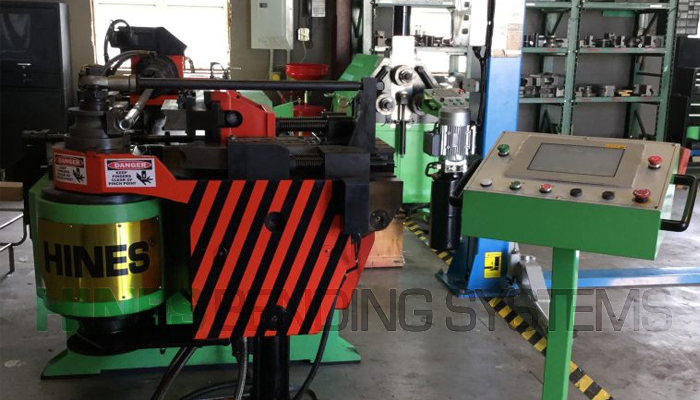 The most popular model CNC tube bender for sale involves a 3-axis bender. Well-suited to bend many industry parts, to include the expanding exhaust tube aftermarket. That said, you will find some CNC benders for sale with 5-axis or multiple radius with a head shifter. Even see a CNC tube bender with push bend capability. How does a CNC tube bender work? From simple to complex bends, your CNC operator manually inputs and saves bend specifications for each job. You may want a tube measurer device, such as a Romer, that can be used to directly input the job into the control. 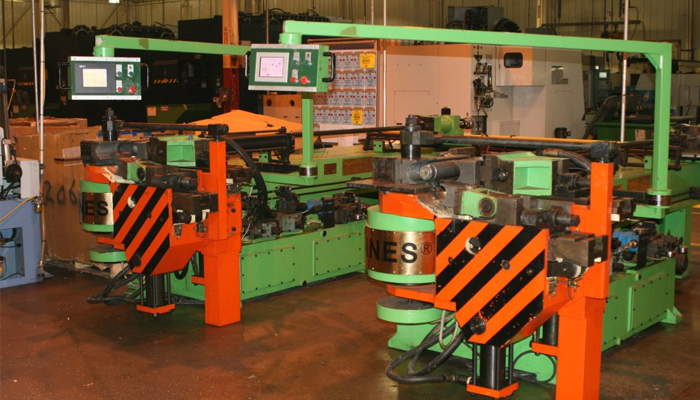 With a Hines Bending Systems CNC Tube Bender for sale, your bender comes standard with the popular BendPro Control. After your operator inputs the job in the control, your operator loads the tube and returns to the control to start bending. The CNC tube bender automatically advances your tube toward the bend die. The CNC tube bender then bends, rotates, and advances your tube the correct distance between bends. 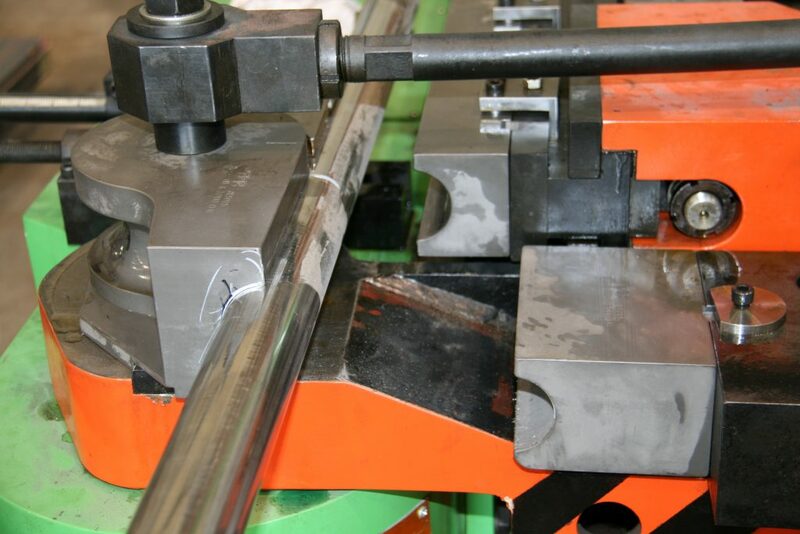 Your operator removes the tube from the CNC tube bender when all bends on the part finish. Where do you find a quality CNC tube bender for sale? 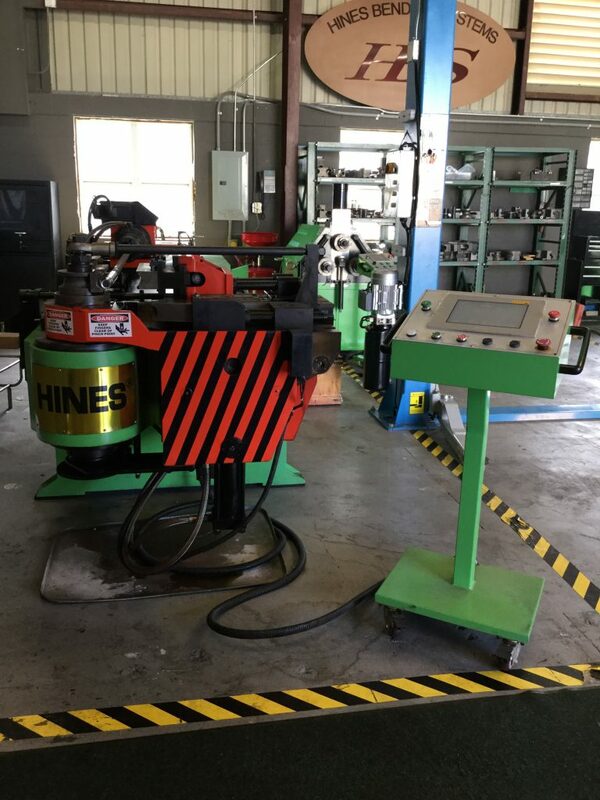 You have many questions the experts at Hines Bending Systems can answer for you about a CNC Tube Bender for sale for your company. 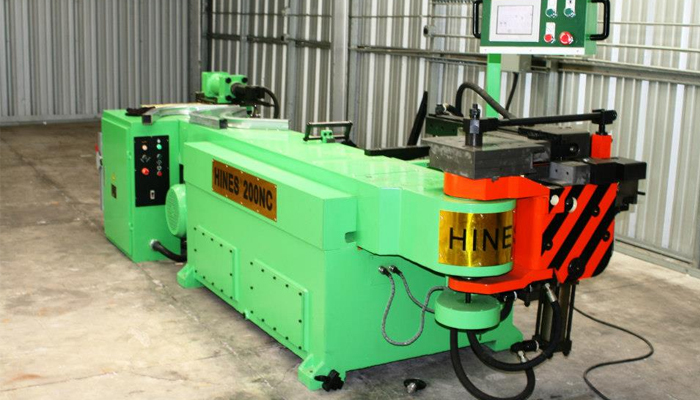 Consider a visit to Hines Bending Systems website to view all the standard CNC Tube Bender models for sale. To be sure, you want your bend specifications ready and part drawings, if available. This information helps you and your CNC tube bender expert provide you the correct features and options for your tube bender.